Just a few years after edging into Atlanta’s hip-hop underground, Playboi Carti released his highly anticipated debut self-titled debut on April 14 2017. The tape debuted at #12 on the Billboard 200. His first release for Interscope Records and AWGE, Playboi Carti features “Magnolia” and “wokeuplikethis*”—two chart-busting singles that embody the 22-year-old rapper’s deeply experimental but hook-heavy sound. Both tracks featured on the Billboard 100 (Magnolia peaked at #8) and appeared on Spotify’s RapCaviar playlist, accolades that affirmed Playboi Carti’s position as one of today’s biggest breakout hip-hop artists. 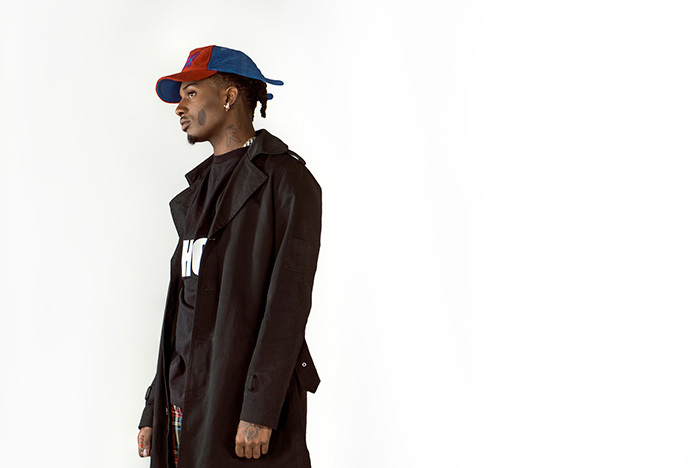 Playboi Carti has also won recognition within the fashion world, landing features in Vogue, GQ and W Magazine. He played to sold out crowds last summer on his debut headlining world tour, including festival appearances at Rolling Loud, Coachella (alongside Lil Uzi Vert and Gucci Mane,) and the Forbes 30 Under 30 festival where he was selected as the 2017 Music Callout. Playboi Carti released his first album Die Lit as surprise release on May 11 via AWGE/Interscope Records. Die Lit debuted at #3 on the Billboard 200, and amassed over 60K in consumption units in its first week with over 82.1 million streams, more than double the first week streams of his 2017 self-titled debut. The album garnered a great deal of critical acclaim, earning an 8.5 score and Best New Music nod from Pitchfork, who lauded it as a “57-minute sugar high that’s even wilder, more disorienting, and more perversely infectious than its predecessor.” SPIN has praised the album for its “broadcast[ing] a refreshing and well-developed aesthetic–one that feels like Carti’s specific achievement.” Meanwhile, Stereogum has hailed Die Lit as “a strange, exciting, physical record…It bursts with ideas and with personality, and it sets itself immediately apart.” A week following the release, Carti made a surprise appearance on the season finale of Saturday Night Live, joining musical guest Nicki Minaj for a performance of “Poke It Out.” Nicki Minaj is featured on “Poke It Out,” a track included on Die Lit.